The perioperative surgical home while in its infancy in many ways is a concept trialed under different names for decades with the goals being to improve patient outcomes and satisfaction while decreasing costs. This can be achieved by decreasing variability, utilizing multidisciplinary teams, coordinating care across the continuum, and engaging the patient in the process. 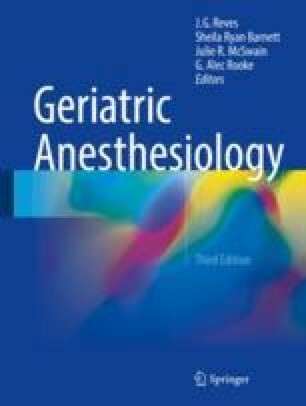 Geriatric patients serve as the prime population to benefit from these concepts given their increased risk and cost due to their comorbidities, increased concentration on quality of life, and the magnitude of impact of a “simple procedure.” With only increasing operative and nonoperative procedures being performed in these patients, development of rigorous programs utilizing concepts of the PSH will improve care into the future. ASA Definition of the Perioperative Surgical Home. http://www.asahq.org/psh. Last accessed 21 Aug 2016. American Association of Orthopedic Surgeons definition of the Perioperative Surgical Home, Pollack P. Perioperative Surgical Home Model Moves Forward. http://www.aaos.org/News/DailyEdition2016/Wednesday/002/. Last accessed 22 Aug 2016. ERAS®Society. History of ERAS http://erassociety.org/about/history/. Last accessed 21 Aug 2016.